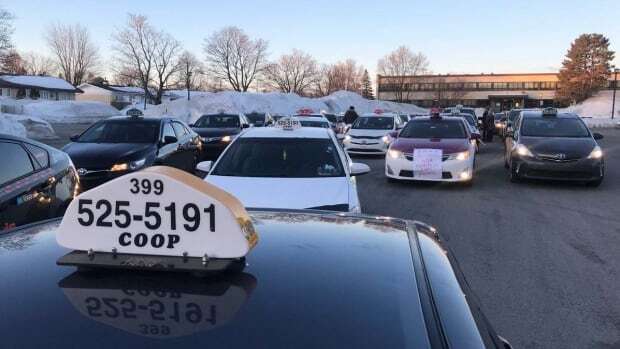 Quebec’s taxi industry is calling off all pressure tactics until further notice. Operators have been trying to force the government into scrapping its bill reforming the industry and opening the door to ride-hailing services such as Uber. Today, they had planned to offer free rides to some passengers using mobile apps, among other pressure tactics. But an industry spokesperson says all tactics are being cancelled after a “dramatic incident,” in which a driver harmed himself on live television, raising concerns about the health and safety of operators. Bill 17, which was tabled last week by Transport Minister François Bonnardel, would deregulate much of the industry. Taxi permits would be abolished, territorial restrictions removed and a single set of requirements would be imposed on all operators in areas such as training and background checks. Drivers across the province have been protesting the bill, holding strikes and disrupting traffic.